Fully reversible windows meet the classification for weather tightness to BS 6375-1 - actual performance will depend on size and style. The 70 mm depth, internally beaded windows, allow easy and safe cleaning in high-rise and inaccessible locations, the window can be completely rotated without intruding into the room. High security locking and child resistant safety catches are included. Double glazing to BS 6262 can be supplied, using 24, 28, 40 and 44 mm insulated sealed units, depending on thermal and acoustic requirements - double glazed units to BS EN 1279. Air permeability 600Pa, water tightness 300Pa and wind resistance 2400Pa (weather rating tested to BS 6375-1:2009). 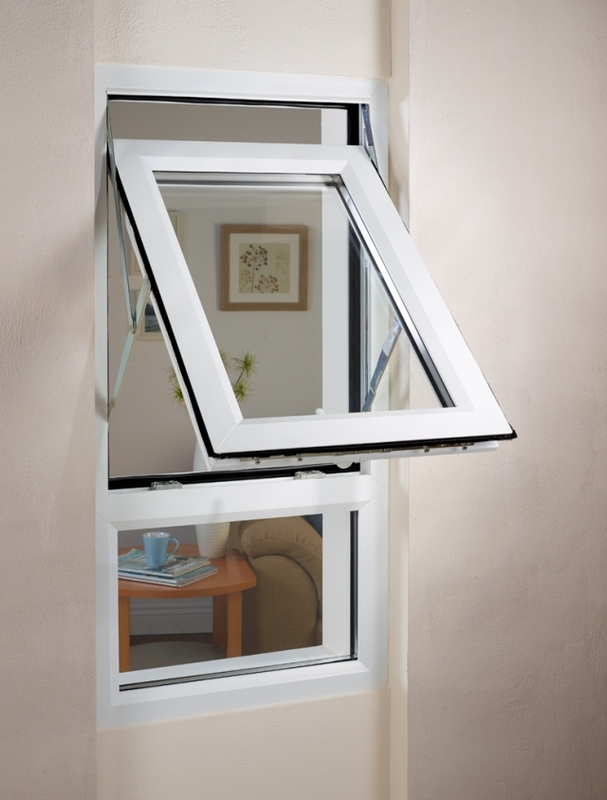 The window can rest in the narrow night ventilation position or with approximately 100 mm opening. Once the safety catch is released the window can be completely rotated. The window rotates without entering the room space. The special hinge assembly brings the outside of the window to the inside of the room. The fully reversed window engages on a safety catch and allows safe and easy cleaning of the outside pane.